The notion that preschool is meant to prepare students for kindergarten is a new one: utterly absurd, supremely cruel to young children, and not based on any sound research. It reminds me when my father (who knew nothing about child development) took my siblings and me to Disneyland. It was a long ten-hour drive to get there and we were chomping at the bit to ride Pirates of the Caribbean, the Matterhorn, and Mr. Toad's Wild Ride. But, my dad insisted we go first to the theater on Main Street and watch the stage show called “Great Moments with Mr. Lincoln,” where a robotic Abe droned on about liberty, independence, and tyranny. We were 12, 8, 6, and 4! While there's nothing wrong with learning about Abraham Lincoln, a visit to Disneyland is not the time and place for that unless you're over 50! Disneyland is a once-in-a-lifetime adventure for kids—full of incredible sights, sounds, and smells—and every moment should be savored to its fullest. In that way, it's like a quality preschool experience where everything is learned through the senses, imaginations are encouraged to soar, and interacting with your surroundings is how you discover the world. Why waste your time at Disneyland listening to a robotic Lincoln and why waste your time at preschool writing in workbooks, learning letter and number symbols, and sitting passively at Circle Time while the teacher prattles on about the days of the week and the numbers on the calendar? 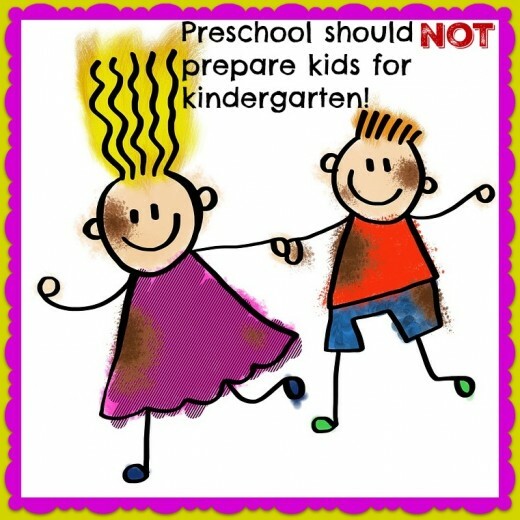 There will be plenty of opportunities for all that in the future, but preschool is a time for doing! Jean Piaget Is Rolling Over in His Grave! 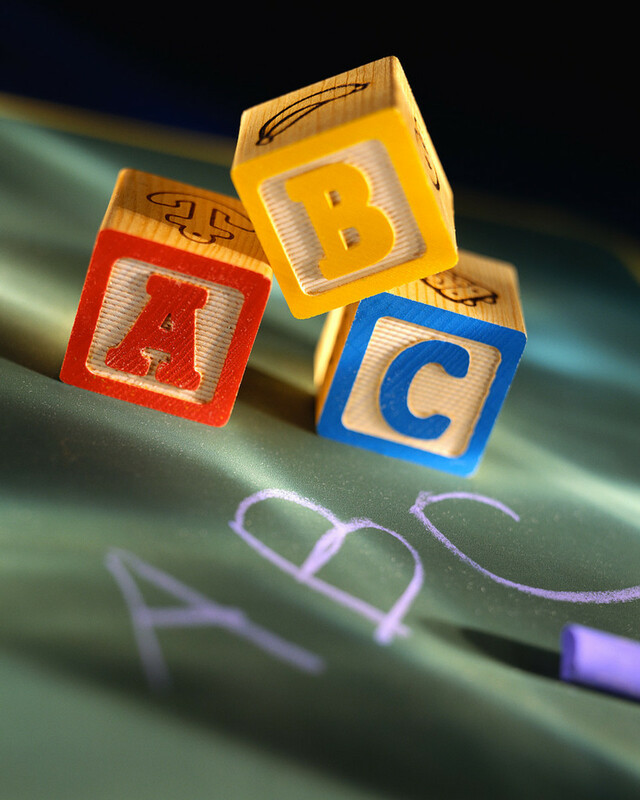 If you ever took a class in early childhood development, you would have encountered the four stages of cognitive development set forth by the Swiss psychologist, Jean Piaget. Piaget studied how youngsters develop intelligence and his findings have profoundly influenced how students are educated around the world. Sadly, however, Piaget is rolling over in his grave now as he sees how far preschools in the United States have moved away from what he discovered, totally dismissing his life's work in favor of academic rigor: workbooks, on-going assessments, long Circle Times, teacher-directed lessons and less play, creativity, and exploration. What Is a Child-Centered Classroom? A child-centered classroom focuses on the learner as an individual with her own unique interests and abilities. It's the antithesis of the one-size-fits-all approach we see at many preschools in the United States. It's characterized by learning centers, dramatic play areas, and a wide variety of hands-on materials. Youngsters are encouraged to explore and learn on their own, making discoveries through their senses. 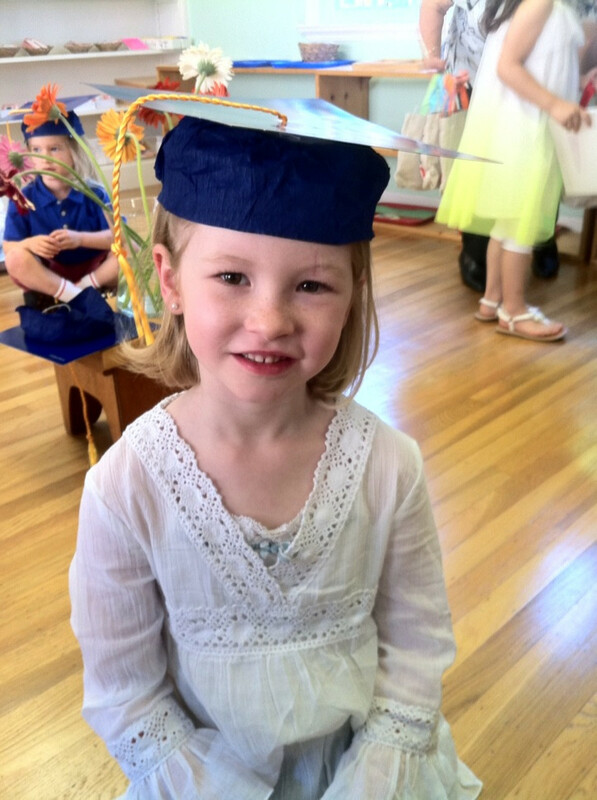 Child-Centered Preschools Are Disappearing in the U.S.
Piaget deemed the years between ages 2 and 7 as the “preoperational stage,” which is characterized by a child's language development, egocentrism, and imagination. 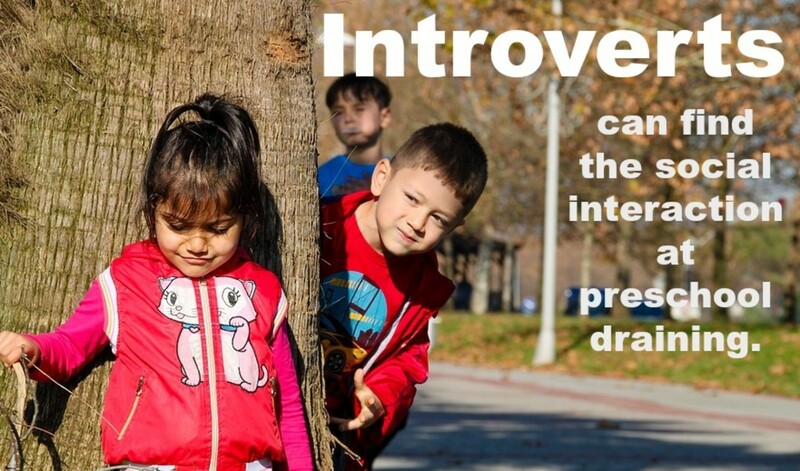 At this stage of development, Piaget would favor a child-centered classroom where youngsters explore materials, interact with one another, and have lots of opportunities to engage in dramatic play—pretending to be chefs in the kitchen, construction workers in the sandbox, and police officers in the courtyard. Since this is a period of rapid and expansive language development, he'd want children to have endless opportunities to express themselves, learn new vocabulary, and communicate in meaningful ways with one another. Piaget would surely shake his head in despair at what he'd encounter in many preschool classrooms today in the U.S. He would be dismayed that the teacher is now front and center, the source of all knowledge. Instead of encouraging and supporting the children, she is now force-feeding them information they're not developmentally ready to handle during the preoperational stage. Piaget would be distressed by how preschools in the United States have shifted from child-centered environments with youngsters playing, painting, and pretending to adult-centered ones where the day's activities are organized to fit a grownup's need for structure. 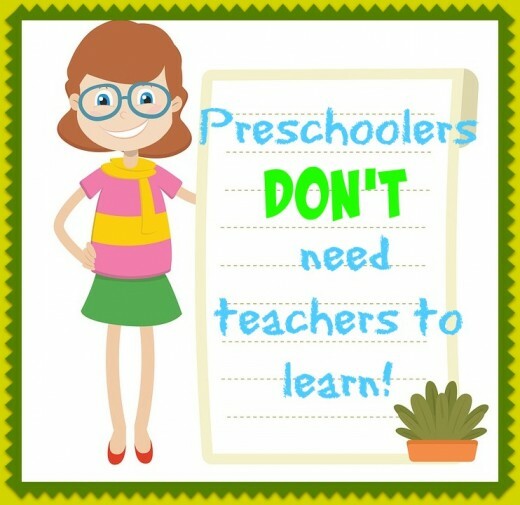 Preschoolers don't need circle time, calendar time, lessons on the weather and days of the week, and monthly themes about dinosaurs, planets, transportation, pets, and trees. They need time to play and discover the world by themselves. Their personal curiosity should lead the way, not something imposed by the teacher. The saying “when the student is ready, the teacher appears” is extremely apt for Piaget's preoperational stage. If Lily has a fascination with dinosaurs, the teacher could show her books about them in the class library and encourage her to use play-dough to mold some. If Jackson is really into cars, she could suggest he build some with the collection of recycled materials in the art center and then race them by drawing a course with chalk in the courtyard. If Amber is currently enthralled by pets, she could add a dog bowl, stuffed animals, and cat toys to the dramatic play corner, turning it into a veterinary clinic. The teacher isn't a performer, entertaining the children at circle time, but rather a facilitator who works deliberately and quietly behind-the-scenes to enliven the kids' various interests. If you listen to CEO's today, they're screaming out for workers who are creative thinkers and problem solvers but are struggling to find them. This is not surprising since students in the United States have shown a marked decline in imaginative thinking over the past two to three decades according to results from the Torrance Tests of Creative Thinking (TTCT). 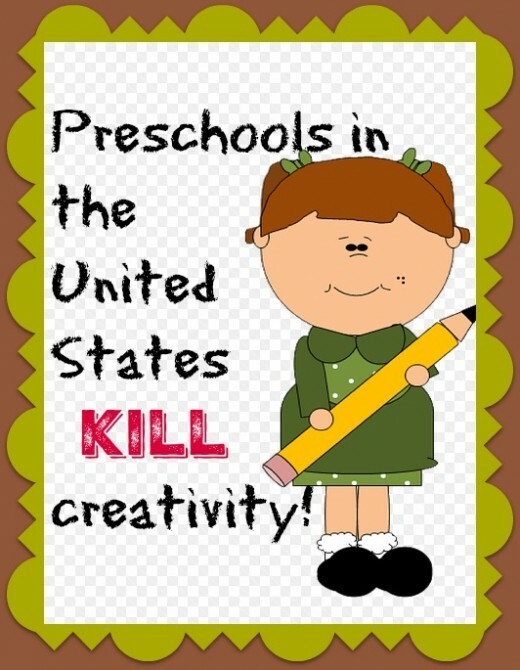 These results are least shocking to experts in early childhood education, who predicted a dramatic decrease in creativity with the decrease in play at preschool (as well as kindergarten and the other primary grades). Professor Kyung Hee Kim, who analyzed student scores on the TTCT, writes: "children have become less emotionally expressive, less energetic, less talkative and verbally expressive, less humorous, less imaginative, less unconventional, less lively and passionate, less perceptive, less apt to connect seemingly irrelevant things, less synthesizing, and less likely to see things from a different angle." If this isn't cause for alarm and a call for action, what is? By becoming hyper-focused on teaching child how to read and do math in kindergarten, we've turned preschool into a period of preparing kids for elementary school with disastrous results and no obvious benefits. When people or animals have no control over their situation, they tend to give up and surrender. A dog in a cage at the pound, for example, will bark, whine, and scratch at the bars to get out when he first arrives. But, over time, he'll stop these behaviors and accept his fate. People who experience learned helplessness often suffer severe mental health issues such as increased stress levels, depression, and a lack of motivation. When we shifted from a child-centered approach at preschool to an adult-centered one, we took power away from the kids. We made them less responsible for their learning. We gave them less time for unstructured activities of their own choosing as we packed on the teacher-directed lessons, the workbooks, and the academic rigor. With less control over their situation, many kids experience a feeling of learned helplessness. They don't have autonomy over their lives at preschool as they're constantly being told where to go and what to do. This leads to despair and frustration. Even when kids are outside in the play yard, adults are often leading them in structured activities such as tag, duck-duck-goose, and mother may I. There are fewer and fewer opportunities for them to use their imaginations and play as they want. According to Professor Peter Gray, a researcher who studies play from an evolutionary perspective, kids need more of it, not less. 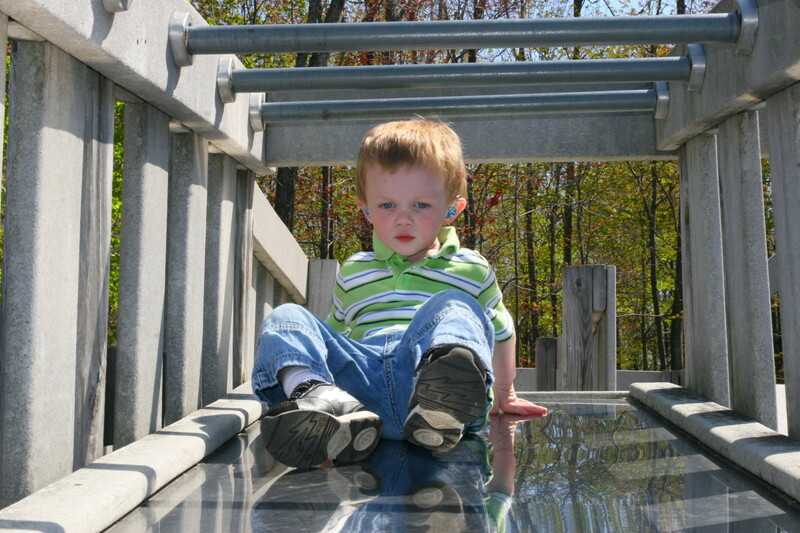 He says that play is how young mammals learn crucial social and emotional skills such as sharing, cooperating, communicating, and empathizing. It helps them develop fit bodies, strong minds, and brave hearts so they can take on new challenges and risky situations. When experiments have been conducted on young rats and monkeys that deprive them of play, the results are absolutely heartbreaking. The animals become emotionally and socially crippled—fearful and aggressive. As we look at the increase in depression, anxiety, and suicide among children today, it aligns with the decrease in play and unstructured activities at home and at school. Children need preschool to be a time of unadulterated play and discovery, and we should be ashamed of depriving them of that. When I talk to parents of preschoolers about the importance of play, I get the impression that they think I'm full of crap, airy-fairy, and impractical. So, it's a great relief to have the backup of Dr. Peter Gray, a prominent psychologist and research professor, who's studied the value of play from an evolutionary standpoint. With examples from both the animal kingdom and human history, Gray explains how play is essential to promoting mentally and emotionally healthy beings. He explains how children become smarter and more confident when they're in control of their own learning and how we're making them less creative and capable with too many structured activities and not enough free play. Yes, Catherine, this is a dark period in early childhood education as academic rigor gets pushed and play gets reduced. However, I think the tide is beginning to turn as I see more interest in "forest schools," where children spend most of their day outside. Unfortunately, we have people making decisions about early childhood education who know little or nothing about it. It reminds me when I was a first-year teacher. The principal and vice-principal made an executive decision that the kindergarten classroom should be the smallest room in the school. Their reasoning was: Little kids, little room! It made perfectly good sense to them. It never occurred to them to ask the kindergarten teacher with 20+ years of experience! This is such a valuable article. I hope children and parents read it. We don't let children be children any more.The parents want to be able to boast: "My Jesse was reading at three." It's so sad.